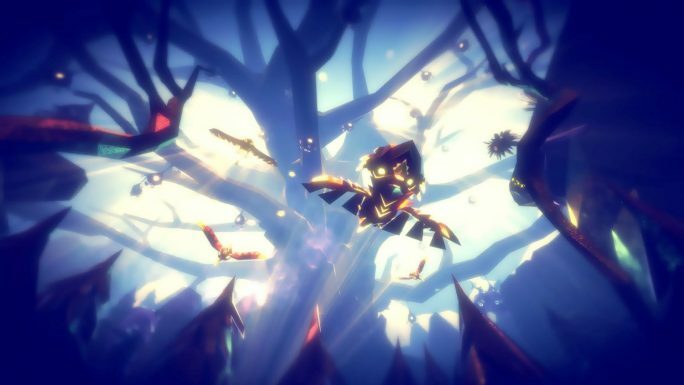 Fe is a uniquely gorgeous platformer about a fox-like cub, a ‘Fe’, who uses its singing to unite with other animals to stop an invasion of robots, the Silent Ones, that are capturing the animals for… some reason. At least, that’s how I attempted to explain the story to a friend. Fe doesn’t utilise any dialogue; an interesting narrative concept that’s hard to pull off successfully, and sadly, Fe doesn’t quite manage to. The plot itself is simple enough to follow, the Fe is helping other animals to fight the Silent ones, but I couldn’t understand the details, particularly in relation to the Silent Ones’ motivations towards the end. Ambiguity can sometimes elevate a story, though as this is more of a kids’ game with a simple narrative, clarity is important to get the moral across. Due to the lack of dialogue, Fe also has a hands-off approach to instructing the player, alluding to how to proceed rather than directly telling. Stone tablets engraved with images hint to what your meant to do within a given moment, but I thought they were hard to decipher, and progressed easily without paying attention to them. 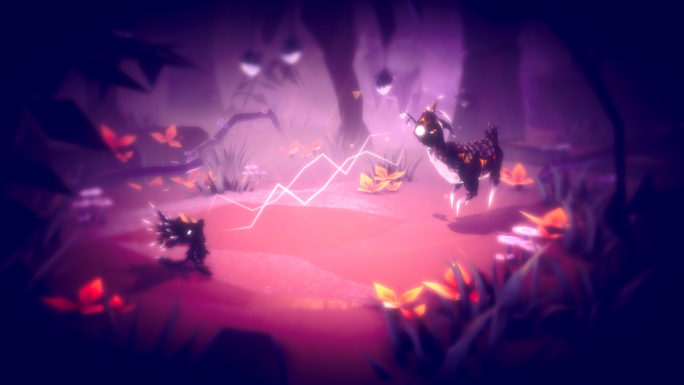 Throughout the game, the player’s Fe learns new songs to communicate with different animals and, oddly, plants. I guess if music can actually help plants to grow, it makes sense that animal songs can make them bloom in Fe. The player can also collect crystals to earn new movement abilities to traverse the world faster, and I liked that these collectables had a tangible effect on gameplay. Combining your songs and abilities unlock new paths and areas, such as illuminating a dark cavern with luminous flowers or climbing a tree to catch a lift from a friendly owl. Singing with the other animals is charming, requiring Fe to reach the right pitch by precisely holding the trigger button in order to achieve a soul-bonding connection. But although it’s cute, it becomes repetitive after a few hours. With some additional exploring I clocked just shy of 10 hours playtime and there’s lots of animals to sing to. It would have been more interesting to require moving the trigger in different ways depending on the species, rather than just a static finger position. We just need to get on the same wavelength. 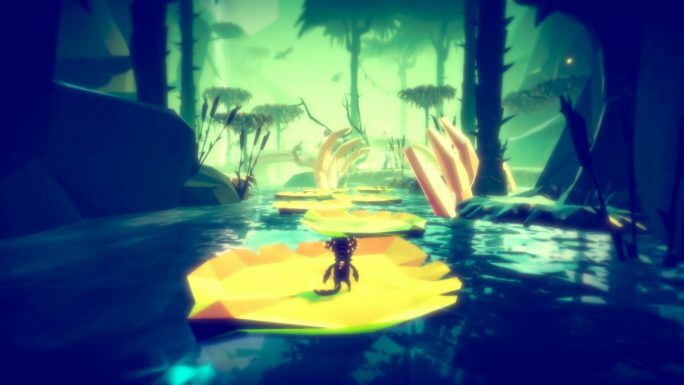 Fe’s world has many different environments, from swamps to icy slopes, with unique animals in each. Midway through the game I had to backtrack through some areas; usually a tedious task. Fortunately, with the abilities I had gained along the way, I was able to experience Fe’s beautiful world design in a whole new way by gliding over the trees with the birds. Also known as falling, with style.. But there’s a lot of travelling, and it gets boring, particularly early on while your movement is basically limited to just hopping around. It’s probably a good idea to listen to a podcast between areas, particularly as the music isn’t very emotive. It’s so calming that it could put you to sleep. 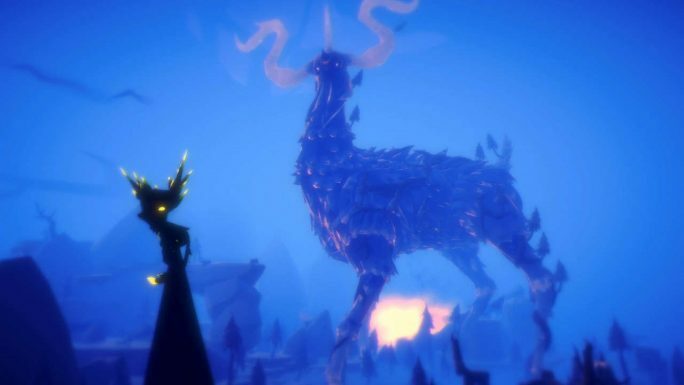 Maybe Of Monsters And Men should have feature in the soundtrack rather than just the trailer? The primary gameplay is platform-based puzzles, solved with your abilities or the aid of other animals. 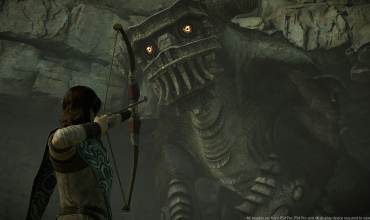 There’s the occasional impressive puzzle, my favourite being very Shadow of the Colossus-esque, where I had to time my jumps between movements of an exceptionally large animal. But the majority are simple, with few times where I had to stop and think about how to solve an area. I also found I could easily under or overshoot some platforms which should have been easy to land on. Plus, the stealth elements are forgettable. The Silent Ones will quickly immobilise you on sight to send you to the last checkpoint, but they’ll lose track of you the instant you walk into tall grass. I’ve got my eye on you. Just stay outta the grass. 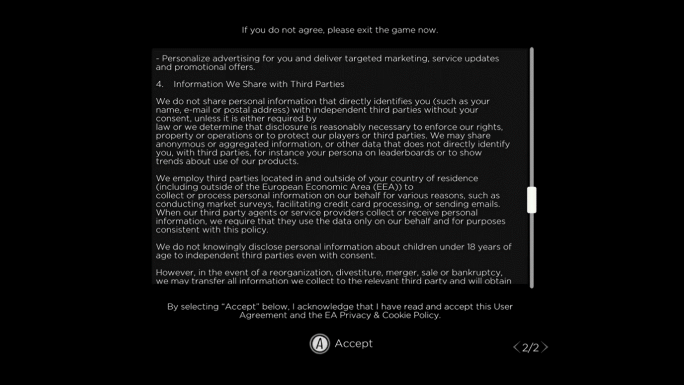 At least there’s no micro-transactions. Yet. Other than the gorgeous art style and environments, I didn’t have huge expectations for Fe and I mostly got what I expected. However, I do appreciate even though they come up short in regards to the plot, the developers, Zoink, clearly put a lot of effort into making the game play naturally without dialogue. 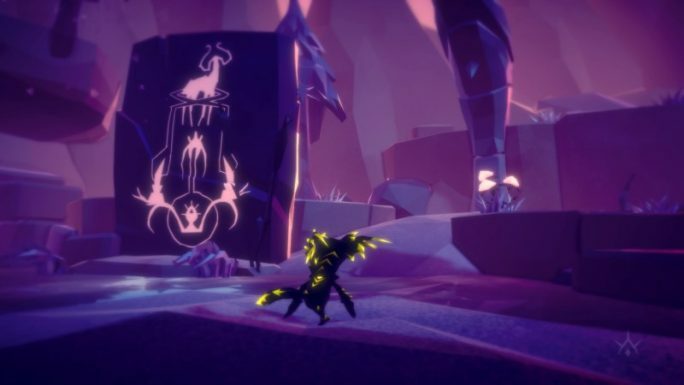 It looks special, its animals are cute, and even its gameplay feels a little unique, but Fe drags on too long to sustain what charm it has. 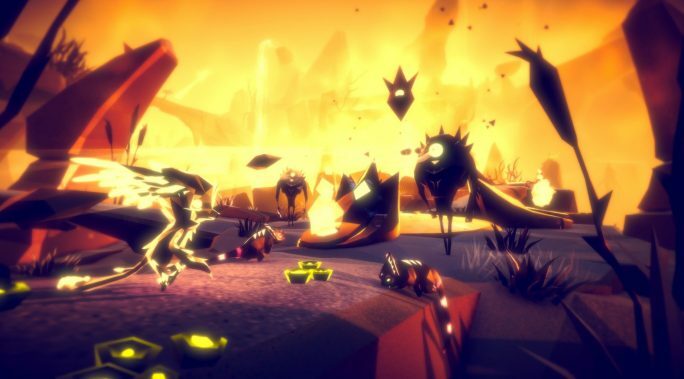 Aside from a dubious EA user agreement, Fe is a charming indie title that’s just lacking depth. 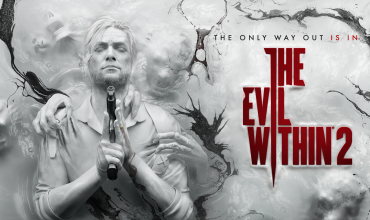 Despite its repetitious nature and bland story, the beautiful visuals and musical gameplay provide a unique experience; just not one that always hits the right note. For more reviews and news don’t forget to follow LoadScreen on Twitter and like us on Facebook.